It’s the biggest walk of your life, so let’s make it look pretty. The place where you exchange your “I dos” should reflect your individual personality, style, and love. So when it comes to ceremony decor, don’t be afraid to utilise every piece of your space – starting with your walk down the aisle! Your wedding aisle can help you transform your ceremony into something even better than your wildest dreams. Allow these ideas to walk with you into forever. Small trees work so well with an organic wedding ceremony. Just make sure they aren’t tall enough to block the view of your guests. 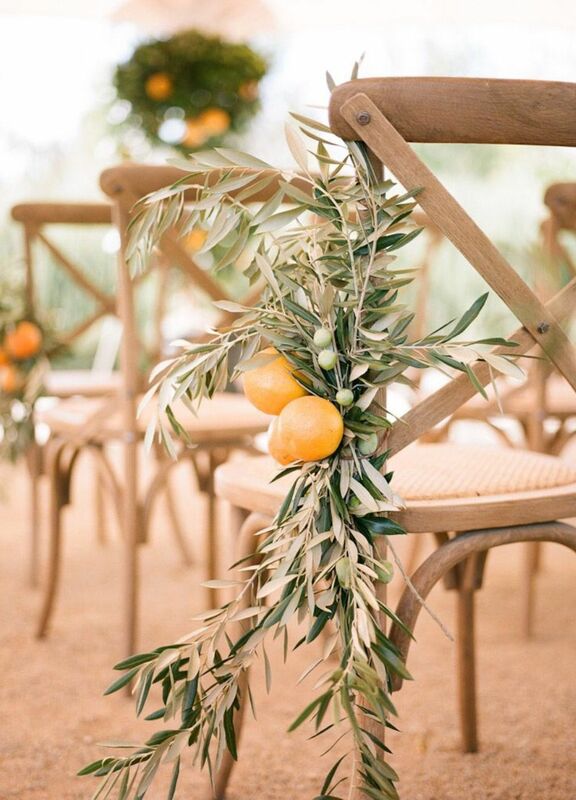 Have you thought about using fruit for your wedding aisle liners? Think pineapples for a tropical wedding or berries for a fall wedding. Lanterns are oh so romantic! Our favourite thing about them is that they incorporate well into any wedding style or theme. Want to bring the cosiness of the autumn season into your ceremony? Look no further than an aisle lined with decorative pumpkins! 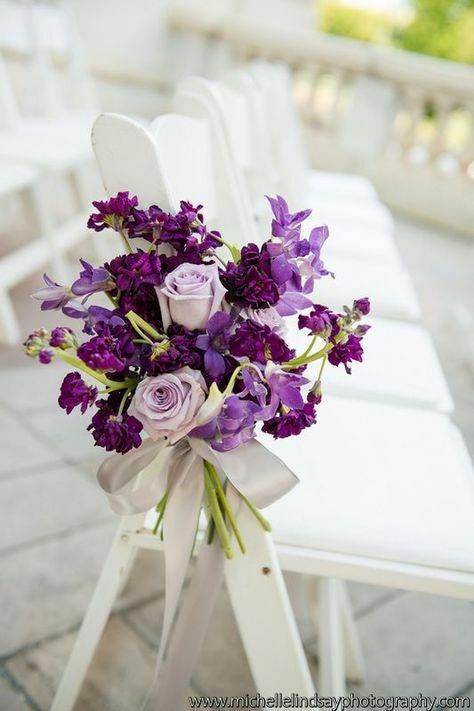 For an extra pretty look, place bouquets of your wedding flowers on the sides of each chair lining the aisle. Bring out Mother Nature’s beauty by adding natural greenery to your wedding aisle. It’s easy on the eyes and easy on your budget too! 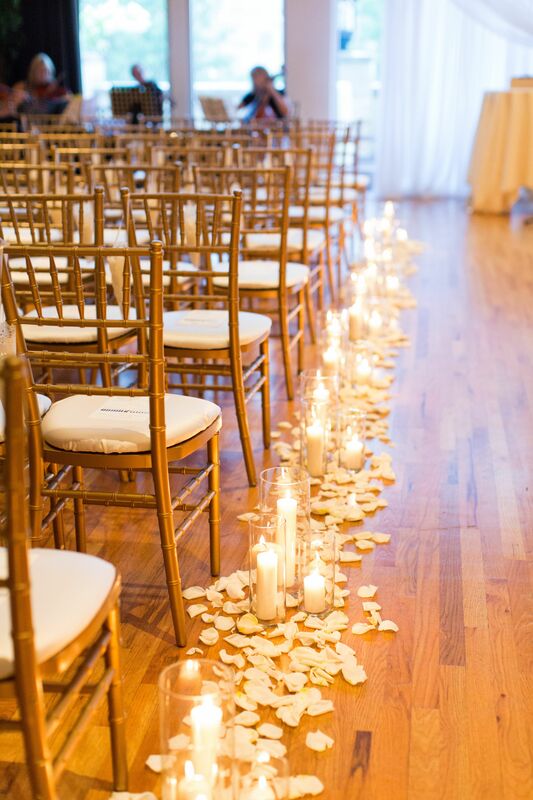 Not only will candles light the way to your “I dos”, but they’ll also calm any last minute nerves too. You can use florals for your ceremony aisle in so many ways. Plenty of flower petals will do the track for a simple yet stunning aisle. We bet you’ve seen these amazing feather-looking things on Pinterest before but had no idea what they were called. Pampas grass makes a bold statement just by itself and is popping up all over boho-chic weddings everywhere! Plants held in tall tin vases are so easy to make and work so well for both an indoor and outdoor ceremony. A vintage clock or vintage teacups and sauces give us all the old-school feels. Play around with different vintage details to add to your wedding aisle – there is no limit to creativity! Discover how to plan your perfect wedding aisle at The Wedding Gallery. Book an appointment with a consultant today.